We will be stocking Wetbags, Mini Wetbags and Bibs on 10/6/17 at 3pm CST. 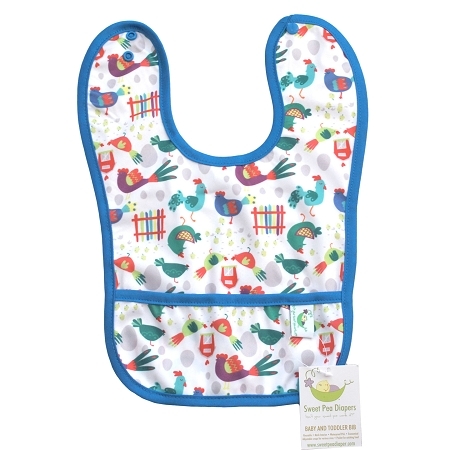 Newborn covers from the previous stocking are 30% off until gone (30% off price reflected in drop down). 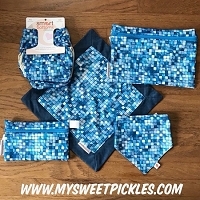 Meet Free Range by Sweet Pea Cloth Diapers - Exclusively made and designed for My Sweet Pickles! More information about Sweet Pea products can be found HERE. 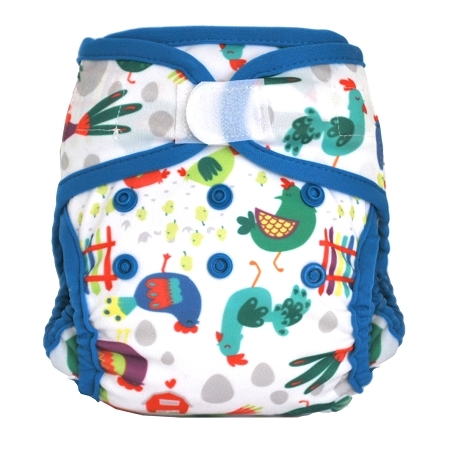 I'd never tried sweet pea diapers, but I couldn't pass up the cute chicken print and I'm so glad a tried them! They come with two overlapping inserts, one cotton and one bamboo velour. The cotton is soft, but the bamboo is amazing! It's velvety soft and both are very absorbent. 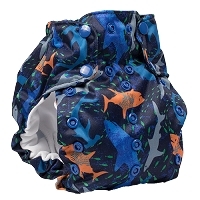 The diaper is also very trim which is nice. 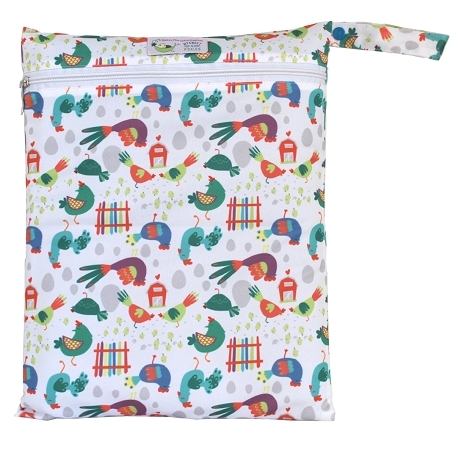 First Sweet Pea wet bag I've tried, and very happy with it. 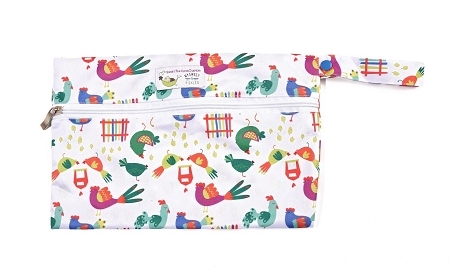 It feels sturdy and we'll made, and works great as a clutch style diaper bag. I bought this to try the os covers and it's a nice fit. Cute print.